Most lawn stress is usually brought on by temperature, drought, disease, or insect stresses, but there are many other stresses on your yard that can influence the growth of grass. Some of these stresses are; shade, compaction, and thatch. It is estimated that as much as 25% of the turfgrass grown in the United States is shaded to some extent. The leaves from the trees block the grass only allowing 5% of sunlight to reach the grass. This lack of sunlight makes it difficult for the grass to conduct photosynthesis properly. Low light intensities restrict the rate of photosynthesis and therefore the plant does not grow as much and in consequence restricts it from storing reserve carbohydrates. In return other stresses such as cold, heat, and drought increases when the plant has an insufficient supply of storage food. Trees do not only block valuable light for photosynthesis but they also compete with the grass for water and nutrients. Grass may suffer from moisture and nutrient deficiencies because trees require large amounts of water and the same amount of nutrients that the turfgrass needs. Competition and low light are not the only factors contributing to shade stress. Cooler temperatures and moist soils that shade causes creates an environment that is ideal for the development of grass disease. Shade stress cannot be totally avoided but they can be managed. A valuable tool for the prevention of shade stress is to use grass seed for shade which are tolerant to shade. These grasses can grow well under shade because they require less light to conduct photosynthesis at their optimal level. Some examples of shade tolerant grasses are; St. Augustine, and some varieties of fine fescue. Using shade tolerant grasses is a good management practice for dealing with shade stress, but the best management practice is to simply avoid shade stress by implementing a good landscape design. A compacted soil is a soil in which the mineral particles have been pressed together so tightly that they do not allow air, water, and nutrients from grass fertilizer to penetrate the soil easily. In effect, the grass suffers because the roots of the grass cannot obtain the essential nutrients, air and water that are needed to grow vigorously. Like shade, compacted soils can intensify other stresses such as salinity, drought, and temperature. Therefore, maintaining a healthy and spacious root zone is required for a pleasing aesthetic grass surface. There are several methods to use to alleviate soil compaction. Some of the best methods are avoiding excess traffic, aerification, and maintaining a proper soil particle balance. A proper soil particle balance is the optimal balance between clays, organic matter, and sand. Too much of one substance can decrease the quality of the soil, but specifically too much clay in a soil can and will cause soil compaction. This is why adding soil amendments such as gypsum, organic matter, and sand is crucial to assist in avoiding soil compaction. Excess traffic such as golf carts and people walking are sometimes hard to avoid but with a good maintenance schedule, the negative effects can be reduced. This is where aerification comes in. Aerification is the process of removing cores from the soil surface to promote good air ventilation, water and nutrient absorption. Simple maintenance practices can help reduce the risk of soil compaction. One of these practices is keeping machines off your lawn when wet. Thatch build up occurs when the production of plant tissue is greater than the decomposition rate. The build up of thatch can lead to water infiltration problems, poor playing surfaces, and provides an ideal environment for disease organisms and insects. Because of thatch build up, the grass roots are more likely to surfer from cold, heat, and drought injury because the lack of insulation provided by thatch. A thick layer of thatch can also make the grass surface uneven leading to scalping during mowing. There are two major ways to deal with thatch. The most common and widely used method is verti-cutting. Verti-cutting is the vertical thrashing of blades that physically tear out plants and thatch. Visit the De-thatching Lawns to Revitalize Your Grass post for more. The complimentary method to verticutting is to top-dress the surface with a light amount of sand. This replaces the thatch with inorganic matter suitable for root growth. All of these three stresses discussed in this paper influence and accelerate other stresses that can lead towards turf death. With sound soil science and proper planning of the landscape and good lawn care practices, most of these stresses can be avoided or controlled to a minimal level. 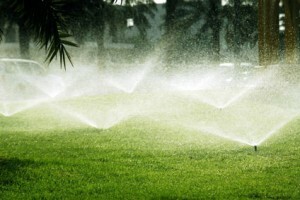 Irrigation is a crucial part within the overall lawn care program. 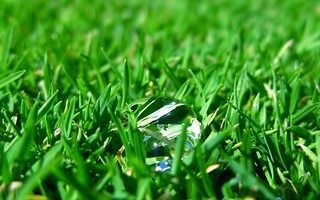 If you water your lawn, always soak it to the depth of 6 or 8 inches. This encourages the grass to nurture a deep, extensive root system which is better able to withstand heat and drought stress. Light, frequent watering on established lawns generates a shallow root system that gets dry quickly and may also die during hot, dry periods. Don’t irregularly water your lawn during droughts to the extent that your grass goes in-and-out of dormancy several times without allowing it to completely heal. Some grasses, including Kentucky bluegrass, can make it through prolonged droughts during dormant conditions and after that resume growth when sufficient water is available, but this is done at great expense towards the plant. When you begin an irrigation program for your lawn, you should never suddenly stop it part way through a stress period. On bluegrass, terrible problems may result. It is better to permit it to harden off naturally and endure the hot, dry period during a dormant conditions. Bluish grass spots in your lawn. Footprints that remain in the grass even long after being made. Leaf blades folded in a half lengthwise or rolled on the edges. Soil in root zone that feels dry. High temperatures, strong winds and low humidity that could possibly go with long dry spells cause these symptoms. Water your lawn when these signs appear. Waiting longer results in permanent damage. 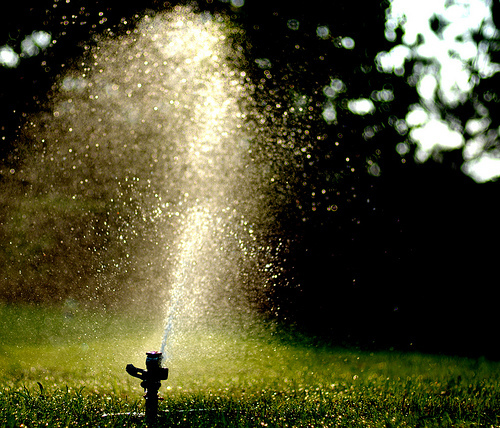 The optimum time to water your lawn is in the early morning. Winds are typically calm so less water evaporates, plus the foliage dries off during the day. For warm-season grasses during the summer, dividing you watering times by completing half the desired amount in the morning and the other half in the evening is an efficient method of using water. Be cautious when watering in the evening because foliage is likely to stay wet all night if too much water is used. Grass that remains wet for several hours causes it to be more susceptible to disease. How Much Water to Use? It is a waste to apply more water than the soil can absorb and keep in mind that the type of soil you might have effects how quick water is consumed. As an illustration, water permeates a sandy soil faster than a clay soil. On sloping lawns, water might runoff without penetrating the soil, so apply water slowly to make sure that the soil will absorb it. How frequently you water and how much water you apply ultimatley depends on the grass type, soil properties and texture, the climate along with other factors such as heat, wind or humidity. Put down several straight-sided cans evenly spaced in a straight line going away from the sprinkler in four directions. Run the sprinkler for an hour then measure the quantity of water in each can. Use this measurement to calculate just how long you should run the sprinkler to apply the proper amount of water. During the method, watch to find out if runoff is happening. If that’s so, you may want to start and stop your sprinkler at intervals to allow time for the water to absorb fully into the soil. Also verify whether each can contains different quantities of water. If so, your sprinklers are not applying water evenly. Motor-driven lawn mowers, synthetic grass fertilizers and pesticides have most definitely made lawn care much easier in the last 60 years. Most of the dense, green, vigorous grass lawns you’ll run into owe their appeal and beauty to these products. However, for those who are trying to be good stewards of the environment, want to only use products that are safe for kids and pets, and take a natural and organic approach to lawn care, with a little more work green healthy grass can be achieved without the use of synthetic fertilizers and chemicals. Any good lawn care program should address problems preventively and not reactionary, but to practice a functional organic lawn care program, problem prevention is key to success. So if you plan to create an organic lawn, the first step is to choose appropriate cultivars when planting grass seed or laying sod. Plant grasses that do not have high resource requirements, such as, tall fescue for cooler regions and buffalograss or salt grass for warmer regions. After you’ve chosen your grass, here are some helpful organic lawn care tips. 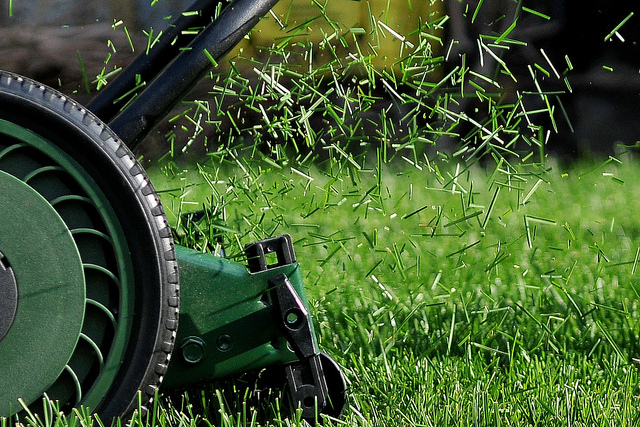 It may not appear so, but a gas-powered push lawn mower can emit a whole lot of air pollution into the environment. Some studies have shown that a common push mower will emit the same amount of air pollution in a hour as will 11 cars. Riding mowers worse, emitting as much as 34 cars. Walk-behind reel mowers have been around for years and can effectively mow grass down to attractive low growing levels. When using a motor-less reel mower, it is essential to mow your lawn frequently and consistently. There are all kinds of cultural benefits to mowing your lawn routinely but if you miss a cutting and let your grass grow too tall, pushing a reel mowing through over-grown grass will be physically difficult and hard on your grass. Click here for more Lawn Mower Tips. Motor-less reel mowers are not typically equipped with a grass catcher, so mowing frequently will also reduce the amount of grass clippings falling to the soil. Recycling a small amount of grass clippings back into the soil is good and provides a good source of natural nutrients, but too much can create a disruptive layer of thatch. As mentioned above, small amounts of grass clippings recycled into the soil act as a natural source of nutrients to your lawn. Grass clipping will decompose over time, slowly releasing available nutrients into the soil that your grass picks up by their roots. 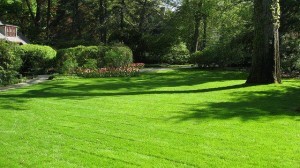 An elegant and beautiful design but old grass clippings alone are not enough to accomplish a dark green lawn. 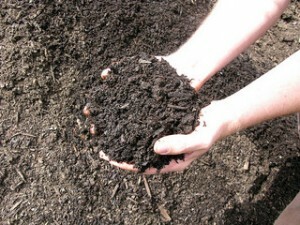 Another good source of organic lawn fertilizer is animal manure or compost. Compost is a great soil amendment for both organic lawns and non-organic lawns because it contains primary and secondary fertilizers, trace nutrients, organic matter, and improves soil structure. Apply manure or compost at recommended rates once or twice a month during optimal growth and always incorporate into your soil before planting grass seed or laying sod. Compost is a great source of natural phosphorous that will help in grass seed germination. The best property of manure and compost is that if used frequently, they act as a slow-release fertilizer steadily adding nutrients to your lawn over time. Controlling weeds using an organic lawn care program will probably be your biggest challenge. 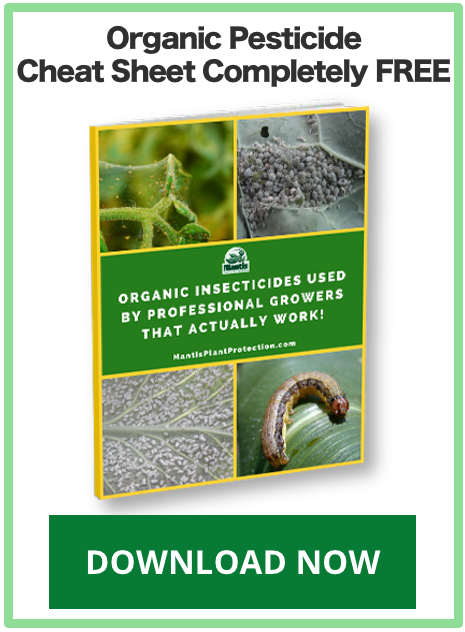 There are some organic herbicides on the market that use compounds such as cinnamon bark or organic acids, but you’ll find that pulling weeds out by hand or with a hoe are the most effective. The most time consuming, but the most effective. Organic weed control control can also be managed by implementing the cultural practices mentioned above. Healthy growing grass will fill out your lawn quickly and outcompete weeds before they grow into a problem. Also before planting grass, be sure to choose a good quality grass seed that is pure of trash and weed seeds. 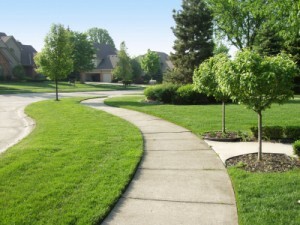 Mowing is an important process for maintaining a healthy, attractive grass lawn. A good lawn mower with sharp blades that’s regularly maintained, along with good mowing techniques all help to create a smooth, uniform, well-groomed appearance for your lawn. Believe it or not, but a a lawn’s density, vigor, water consumption, weed vulnerability, and resistance to outside stresses are all influenced by how you mow. Below are 8 useful lawn mowing tips and techniques to adopt to your lawn care program today. 1. Mow you grass on a regular basis. Doing so will train your grass to grow horizontally making your lawn thicker and choking out unwanted weeds. Mowing frequently also keeps your grass clippings short and if you mow often enough, you don’t have to catch and remove your clippings. A small amount of grass clippings can be beneficial to your lawn because they filter down to the soil providing a source of grass fertilizer after they decompose. Larger clippings will build up over time causing a layer of thatch which will have to be removed using a de-thatching machine. 2. Cutting your grass uniformly is the key to a nice looking lawn, not necessarily trying to mow your grass as short as possible. Maintain Uniformity. 3. Keep the mower blades as sharp as possible. Dull blades rip and shred the grass blades leaving openings for diseases and simply doesn’t look nice. 4. Do not cut off more than one-third of the grass blade during any single mowing. Cutting off more than one third will scalp your grass removing the green material that absorbs sunlight and produces energy for growth. A scalped lawn doesn’t look good and it takes time for your grass to recover to a healthy condition. 5. Mow your grass as high as recommended for your grass type. Maintaing the grass blades tall above ground promotes deep root growth below ground. A lawn with a deep rooting system can soak up more water and nutrients and is much more tolerant against the stresses of hot weather and drought. 6. Mow your lawn in a different direction every time. When mowing in the same direction every time, grass tends to lean over in same direction making it difficult to mow uniformly. To achieve a uniform cut, overlap cut line by 2 to 4 inches. 7. Do not mow wet grass. Mowing a damp lawn can actually pull grass plants out of the soil and there’s also a greater risk of compacting your soil by trafficking over wet ground. Having said that, during rainy weather, its better to mow your grass wet than to wait for better conditions letting it get too long. Scalping your grass is much more damaging. 8. If you happen to miss a mow and your grass gets too long, mow your lawn twice. The first pass you cut one-half the amount and on the second pass you cut down to the desired height. This technique will reduce overtaxing your mower engine and its less traumatic on your grass. This list of Lawn Mower Tips should help you improve or maintain your beautiful, green, dense, vigorous grass lawn. For more lawn care tips specific to your state, check out the Planting Grass Seed Center Home Page. 1. Begin by getting rid of all weeds. Broad-leaf weeds can be easily controlled by simply pulling them out by hand but a large lawn loaded with weeds may call for an application of a broad-leaf herbicide. I personally try to avoid using chemical herbicides on my grass but it can make weed control much easier when working with large areas. The best weed control program is achieved by prevention so be aggressive on weeds when they’re young and eradicate them before they mature and start producing seeds. 2. Keep up with regular maintenance of your garden tools. Clean, repair, lubricate, buy and sharpen all of the garden tools you’ll be using throughout the growing season. A good mower is especially important for maintaining a healthy lawn so be sure that the blades are nice and sharp. A mower with dull blades makes rough cuts damaging the grass each and every cut. 3. Take a soil sample and have it analyzed for nutrient content by your local Agriculture Extension Office. Soil testing is crucial for developing an accurate grass fertilizer program before planting grass seed and should be done every three to four years of an established lawn. A soil test will give you a reading of what your lawn needs and how much to apply. (Visit Spreading Lawn Fertilizer post). Balanced fertilizers such as 15-15-15 or 16-16-16 are well suited for most lawn care programs and should be applied once a month during the growing season but keep in mind that they are only good sources for the macro-nutrients: nitrogen, phosphorus, and potassium. A complete soil test analyzes the soil for all nutrients including most of the micro-nutrients that can become deficient over time. Soil tests will also be a guide in case any soil conditioners such as gypsum, lime, or compost need to be applied. If you do not already have an automated irrigation sprinkler system installed, do so immediately because it will make life so much easier. The best time to water your lawn is in the early morning right before sun rise but splitting your watering times by completing half the required amount in the early morning and the other half in the evening is a good practice as well. Watering in this manner will enable your grass to utilize your water more efficiently. Avoid watering in the mid-day because most water is lost in the full sunlight through evaporation and transpiration. Having said that, during excessively hot, dry and windy days, especially during the middle of summer, your grass may need a rescue water application during the day. Mowing on a regular schedule will condition your grass to grow at the selected mowing height and will prevent unattractive scalping marks. Try not to remove more than 3/4 inch of grass at any single mowing and mow during cooler temperatures like in the early morning or evening. DO NOT mow your lawn when its wet because you will scalp your grass horribly and it can take weeks before your lawn fully recovers. Check out these lawn mowing tips to help improve your mowing skills. There you have it!. Five useful lawn care tips that should help you get your lawn into great looking shape in no time! Planting a healthy lawn that remains thick, green and eye-pleasing for many years requires good planning, effective use of time and hard work. Preparing the soil, selecting the right grass seed type, and then planting grass all must be executed well at the proper time. Planting the right grass seed at the wrong time of year or planting the wrong grass seed at the right time of year significantly affects the quality of your grass establishment and, ultimately, your lawn’s attractiveness and durability. Choosing the suitable grass seed for your area is the first and most crucial step when planting grass, but when to plant your grass is another crucial factor to consider. First, select your grass variety by using our Planting Grass Seed Map. Then, you’re ready to learn when to plant. Kentucky bluegrass, tall and fine fescue, and rye grass are best seeded between the dates of August 25th and October 10th. 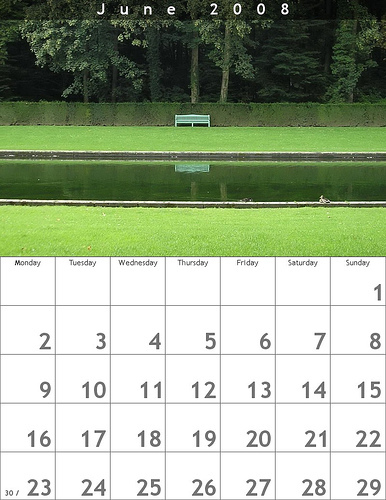 Keep in mind: lawns seeded within a week of Labor Day are more likely to fill in completely for winter. This produces a thicker turf appearance for the following spring when compared to lawns seeded in mid to late October. When planted on the tail-end of summer, cool-season grass seeds germinate and grow rapidly in the warm soil. This gives the grass plenty of time to establish fully before the frigid temperatures of late fall and winter creep in. Warm days and cool nights are ideal for cool-season seedling growth and there’s less competition from weeds, unlike spring planting. If you live in one of the northern states where temperatures are much cooler, it’s possible to plant cool-season grasses in the spring, but it’s not recommended. If planting in the spring, plant early enough so that seedlings become well established before hot weather and weed competition begins. The problem with spring planting is that competition from weeds is tougher and the frequent watering required for germination promotes disease development in warmer temperatures. It depends mainly on your home state, but generally May through July is the ideal time for planting warm-season grasses like Bermuda grass, zoysia grass, St. Augustine, Seashore Paspalum, and buffalograss. 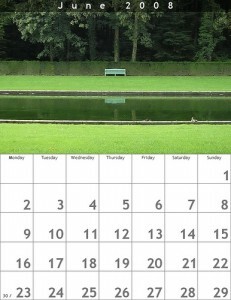 If living in a warm climate and using grass sod, plugs, or sprigs, you may be able to plant into August. Plan your planting well. Planting too late may not give your grass enough time to establish before the season’s end, while planting too early can result in a slow establishment and weed overrun. 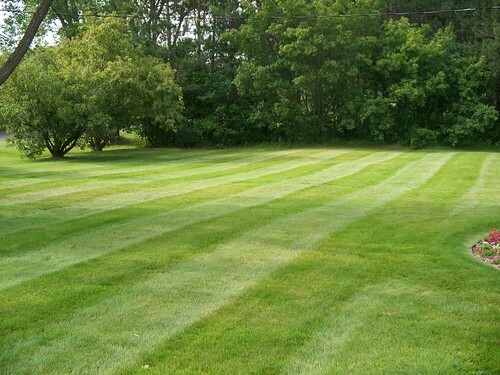 With good planning, preparation, and the right timing, you will quickly have a beautiful, green grass lawn. Visit our interactive U.S. map for recommended grass seed types and planting times for your region. The same watering methods will apply whether you use seed, sod, plugs, or sprigs to establish a new lawn. Heavy clay soils soak up water slowly but can be loosened by incorporating organic matter like peat moss or compost. Organic matter also improves sandy soil by improving water and holding more nutrients. Wet soil thoroughly and let drain for 2 days. Roto-till soil as deep as you possibly can. Wet soil again and let drain for an additional 2 days. Add organic matter and grass fertilizer over tilled soil. Roto-till one more time and as deep as is possible. After seeding, keep grass seed moist until it finally germinates and becomes established. Initially, maintain the surface moisture of your seed bed with regular, light irrigation. Reduce irrigation if rainfall occurs. Light watering at least 2 to 3 times daily may be necessary to hold moisture in the seed bed. Grass seed that begins germinating and then dries out might die, so keep that seed bed moist. Water newly seeded bluegrass or tall fescue in the late evening during the fall months. This will make water use more efficient by keeping the seedbed moist into the following morning. In much cooler weather of early to mid-fall, watering in the evening is less likely to spread disease. In the second week after complete germination, water every third day. Apply ½-inch of water per irrigation. Afterward, 1 inch of water every 5 to 7 days should retain the new grass plants. If you are located in a hot and dry region, you will have to water more frequently. Both sodded and seeded cool-season grasses, such as tall fescue or Kentucky bluegrass, must be watered on a regular basis throughout the first summer after planting. Warm-season grasses like Bermuda grass, zoysia grass St. Augustine, and buffalograss also require regular watering during establishment, possibly everyday once hot temperatures start hitting. Water newly installed grass sod just like you would a newly seeded lawn – frequently enough to keep the contact area between sod and soil moist until new roots knit into the soil. When the sod is unable to be lifted by hand, it is rooted. As roots grow deeper, extend the watering interval. Water plugs and sprigs just like seeded lawns. Keep soil moist until rooting has occurred, then increase the time between waterings.